Who remembers any BT Yellow Pages adverts on TV? The chances are, most people will remember the advert that featured a book, called “Fly Fishing”, by “J R Hartley”. It became so popular that they had to create a book of that name, and then sold a lot of copies! Probably I can find one to scan and show here. More significant was that the actor who played the part of J R Hartley, Norman Lumsden, did not know very much about fly fishing. In fact, I don’t think he had ever been fly fishing. So one year, when my son (also called Nick Denbow) was working as a fishing guide and ghillie at the Rod Box in Kingsworthy, the Channel 4 TV people asked if the Rod Box could take Norman out onto a trout river to help them film him, with a fly fishing rod. We think the show was “Out and About” with Toyah Wilcox. Actually Nick took Norman and the crew out onto the Itchen Navigation near Twyford, and Nick had to teach him what to do with the rod and line, standing in the river, presumably in waders, for the first time in his life. Norman was about 76 by this time, and he did very well, only needing to be held upright a few times. Whether the C4 pictures made him look as though he knew what he was doing, I am not qualified to say. 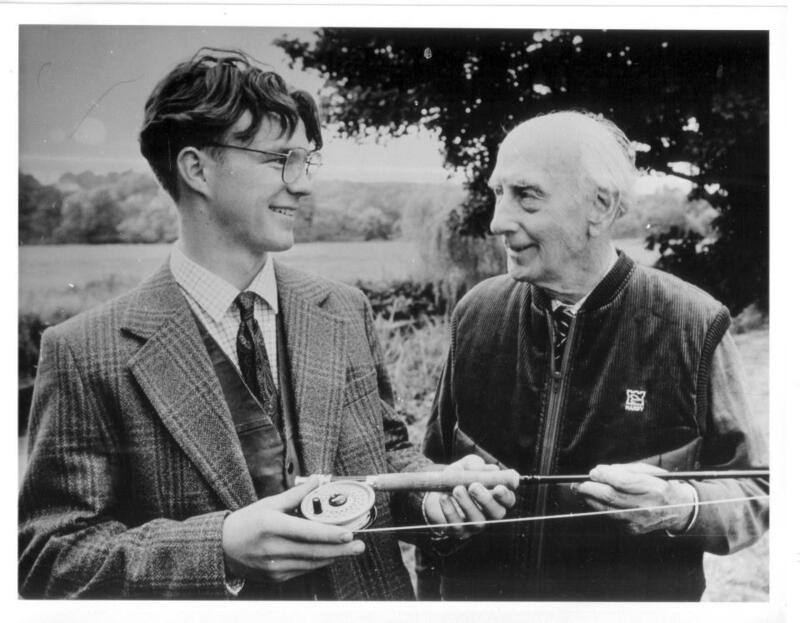 Son Nick has the picture to prove he was there, and a copy of ‘Fly Fishing, by J R Hartley’, suitably autographed. A display devoted to Jane Bown, a long term Alresford resident, and her photographs, was organized by the Alresford Museum committee, a part of the New Alresford Town Trustees (www.towntrust.org.uk): this was on show in the library in Broad Street from September to December 2013. Many more of her pictures are on display and for sale in the Laurence Oxley bookshop also in Broad Street (www.laurenceoxley.co.uk). Further and older Alresford town photos are shown from the Alresford museum archives on the website www.alresfordheritage.co.uk. The display around the library showed around ten of her framed photographs. In the display cabinet are a selection of her books, starting with “The Gentle Eye”, the title of which is probably derived not just from her photographic eye, but from her famous early picture of a cow’s eye! This book spans most of her photographic topics and approaches, and shows the thought provoking “After Aberfan” picture, which will also be on display. Jane was born in 1925, in Dorset, and after the war studied photography at Guildford under Ifor Thomas. Her association with The Observer newspaper group started in 1949, after Jane had been operating as a child portrait photographer: her first new task was to photograph Bertrand Russell. Her portraits are characterized by the use of B&W roll film, loaded into a 40 year old camera, using available light. And for most of them she chose a black background – which looks good in a newspaper pic, cropped to any dimensions to suit. Jane married Martin Moss in 1954: Martin had been a fighter pilot in WW2, but after the war turned his hand to the running of the Knightsbridge department store Woollands, thereby turning Knightsbridge into a fashionable shopping location. He was hailed for his achievements in this, and the New York magazine Women’s Wear Daily described him as “London’s one-man wave of fashion”. They chose to live in East Hampshire: firstly near Alton, but later moved to Alresford, living at number 50 Broad Street, from where Jane commuted to The Observer in London. The house at number 50, “The Old Mill House” has outbuildings once used as a malthouse and brewhouse. It was also used as a private school and/or orphanage between 1790 – 1881. In 1944, as the plaque outside says, it served as the HQ for the 47th Infantry Division of the 9th US Army, during preparations for the D-Day invasion of Europe. Jane was an Observer staff photographer for 45 years: some say they did not realize what an asset they had. Her interest was in people, and this interest is what is evident from her pictures: she could relate to people, and relax them in a portrait situation, so the photos are natural and don’t look posed. Perhaps Jane achieved this by carrying her camera in a shopping bag, usually amongst some vegetables bought for dinner, so that the subjects could relate to her as a normal lady out shopping. Above all, the pictures are presented straight, normally full frame, and untouched by computer re-processing. 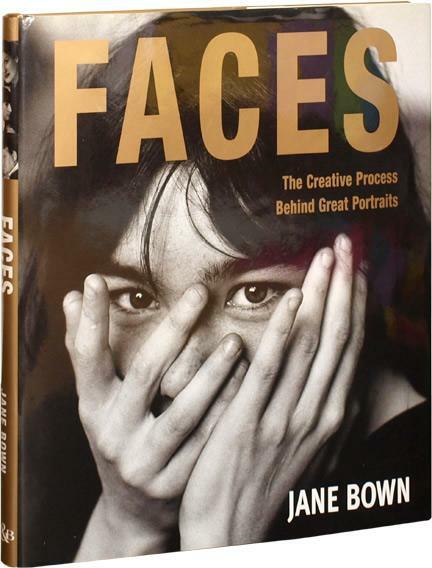 Jane used her portrait photographs in ten books, published along different themes. Those obvious in her collection are photos of women, such as in “Women of Consequence” (1986), and also pictures of church leaders. Another of her preferences seemed to be for cats, with one book called “The Singular Cat” (1988). That, and other books, can be seen in the library display, with some available for study: copies can still be found to purchase on the internet. 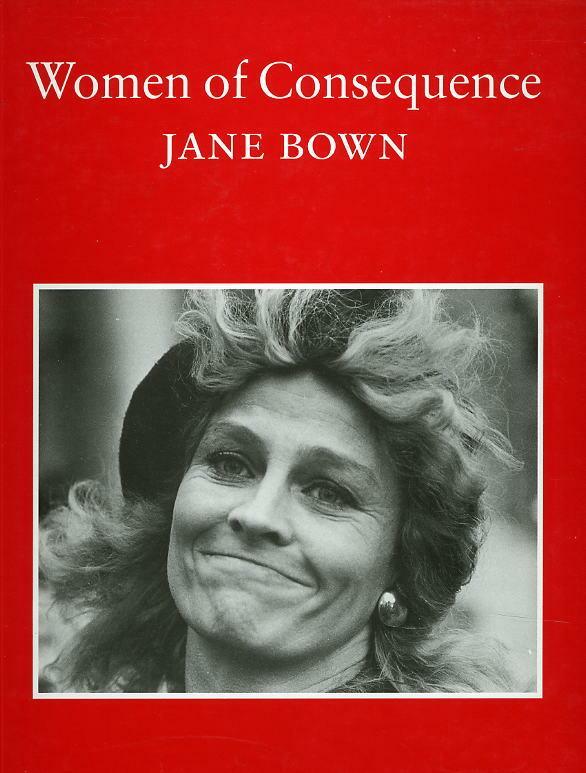 The two books that sum up the breadth of her pictures are illustrated by “Unknown Bown 1947-1967”, which shows the initial interest in illustrating people, and then “Faces”, the new book published in 2000, with notes that show how Jane can remember the details of the sessions, how the shot came about, and perhaps shows what the Observer discovered – she could tell you a lot about the character of the person from just the photo session. Remember, with these subjects, usually Jane’s picture sessions were squeezed in after an interview with a reporter, and she very rarely had time to mess about: 2-3 minutes was all that she was allowed to set up the shot and capture the picture, with the right exposure, et al. 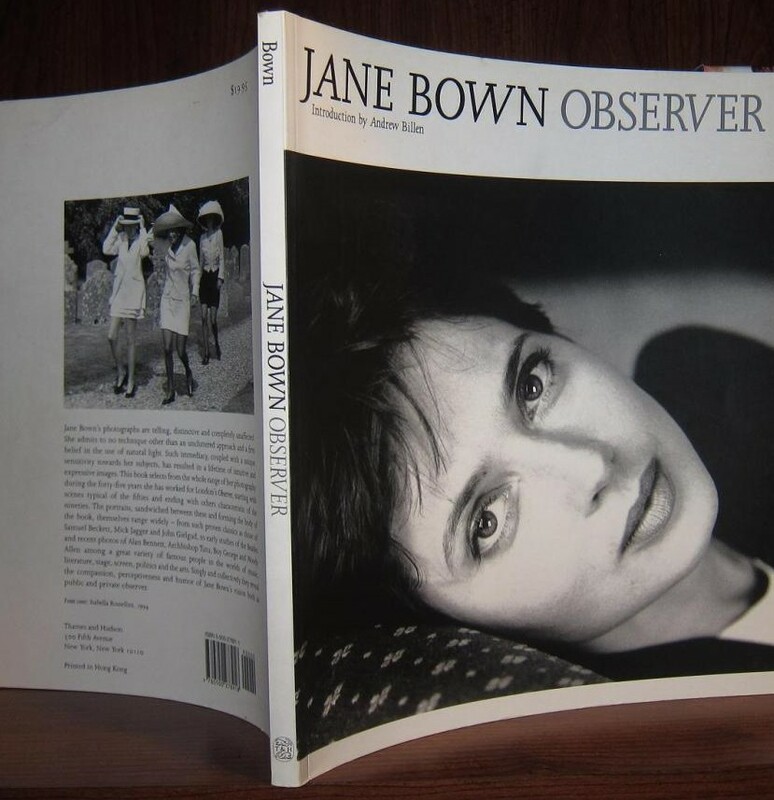 So Jane took her photos and published many books; the exhibitions of her pictures were crowned by one at the National Portrait Gallery in 2011; and she was also asked to take the Queen’s eightieth birthday photograph in 2006. Still her pictures are available for sale, through The Observer, and also through Laurence Oxley’s bookshop in Alresford, where more are in fact on display: all can be autographed if required. A picture search on Google on her name gives many pages of her portrait pictures of celebrities and people in the news over the last 40 years. It is sad to report that Jane died at her home in Alton in December 2014. But I’m delighted to say that Pat Chaffey, her friend and carer for many years, says that Jane enjoyed seeing some of her pictures in the Alresford Library display, and approved of the presentation! Pat says that she got the job as Jane Bown’s carer because I told Pat that there was a need there, something discovered when I was talking to Jane back in 2001 – and all this came from being a postman, and talking to my clients! April 2017, and the Allen Gallery in Alton has a very good display of Jane’s photos until only the end of this month. Plus her cameras, and some books to browse. I found a new one that I hadn’t seen before…..her “unseen” old pics, which are actually the gems.